World number one Tiger Woods has confirmed he will defend his Australian Masters title in Melbourne later in the year. Woods, who beat Greg Chalmers by two strokes to claim his first golden jacket, just before his marriage troubles broke into the global sphere, said in a statement made on his official website that he would be in the line up for the event at the Victoria Golf Club, Melbourne. “I am pleased to be able to return to Melbourne to defend the JBWere Masters,” Woods said. 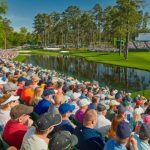 Also taking part in the tournament will be Spaniard Sergio Garcia, Columbia’s Camilo Villegas and New Zealand’s Geoff Ogilvy in what will no doubt build into a formidable field competing for the winner’s pot. Woods himself is likely to collect around $2million in appearance money during the event which takes place between 11th-14th November. 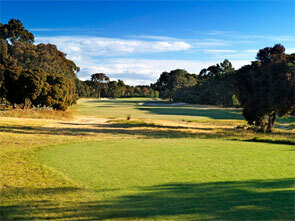 The Victoria Golf Club in Melbourne is revered as one of the best courses in Australia. 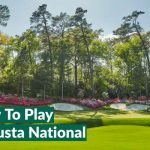 With design influences including Dr. Alister MacKenzie, of Augusta National fame, it was created along the famed sandbelt which is held in the same breath of golfing coastline such as East Lothian in Scotland and Southport in England. 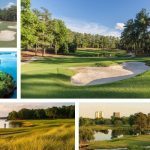 Golfers playing at Victoria will enjoy natural elevations, fast running greens and fairways similar to that found in the UK. Tiger wins in Australia – so does the Australian Government!